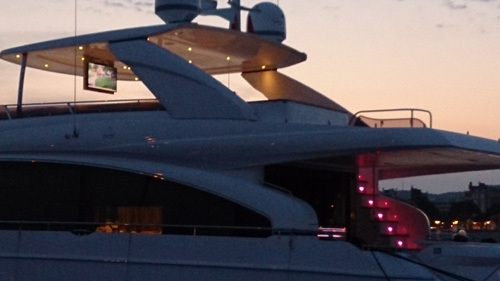 Aggressive RF environment (Often there are powerful Radar and VHF Radio signals and many very high powered WiFi signals when in port). 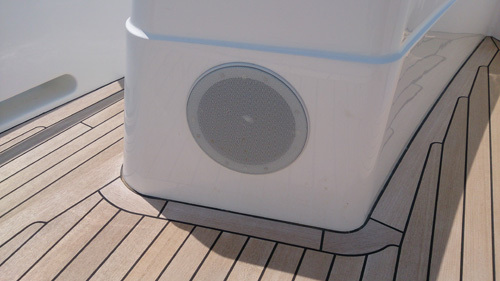 Salty Marine environment – outdoor speakers have to cope with a corosive atmosphere. 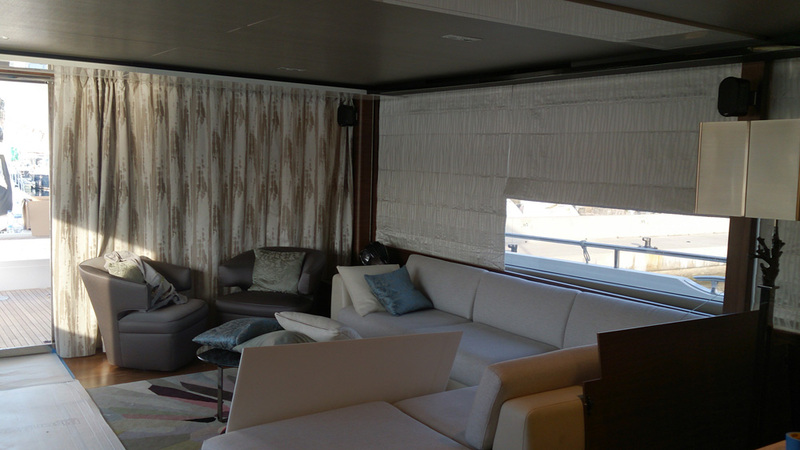 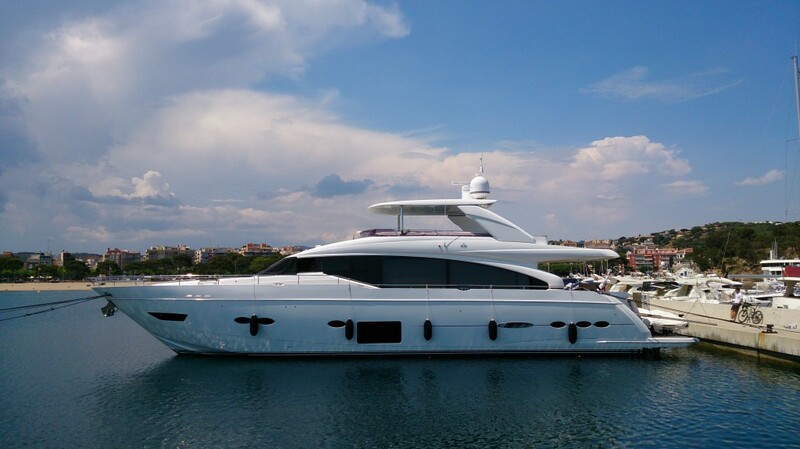 The system on this yacht consisted of 4 zones of audio powered by Linn Sneaky DSMs driving a variety of speakers including Paradigm AMX extreme environment Marine speakers, Paradigm Millennia One surround speakers with the slim but powerful Millennia Sub to sit under the sofa. 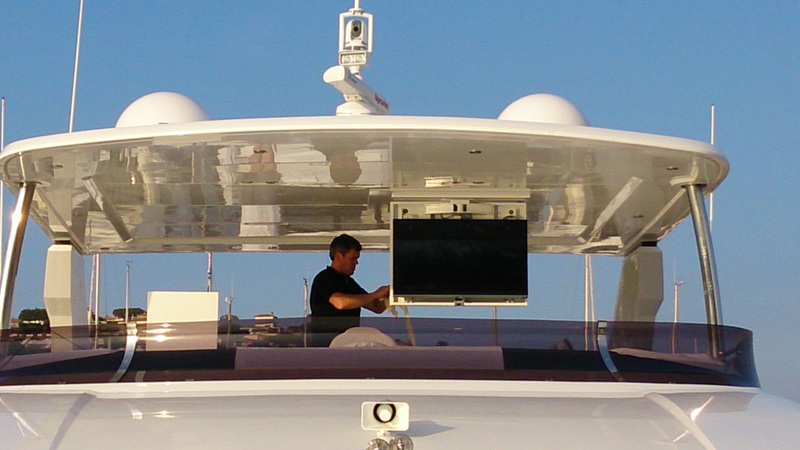 A Kaleidescape Premier system provides movies to 5 cabins and the Flying Bridge where there is a drop-down TV fitted (see Photo).